The Critical Studies Working Group, led exclusively by College of Education faculty, primarily from the Department of Educational Foundations, Leadership, and Technology, has been recognized with an award from the Auburn University Office of Inclusion and Diversity. The specific recognition is the University Award for Inclusive Excellence and Diversity for Outstanding Interdisciplinary Collaboration. The Working Group includes faculty and students in the College of Education who are engaged in critical scholarship and scholar-activism around issues of educational inequities. Their interdisciplinary research includes work on anti-racist education, queer studies in education, comparative international education, (dis)abilities in education, gender and feminist studies in education, and other related issues. The Working Group’s ongoing initiatives, in addition to its collaborative research efforts, include a monthly Critical Studies Book Group, and twice-per-semester Critical Studies Movie Nights. Congratulations to our faculty on this outstanding recognition! 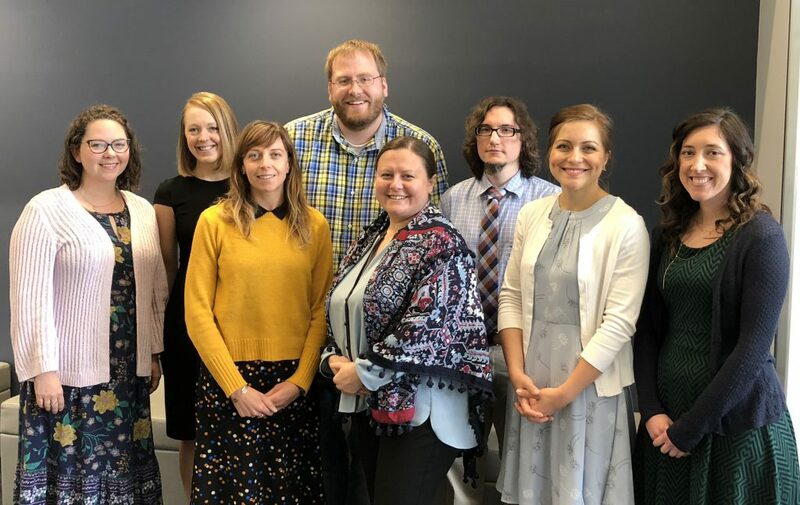 Pictured, from left to right, are: Carey Andrzejewski, Associate Professor (EFLT), Laura Parson, Assistant Professor (EFLT), Hannah Baggett, Assistant Professor (EFLT), Kamden Strunk, Assistant Professor (EFLT), Elena Aydarova, Assistant Professor (EFLT), Bevin Roue, Clinical Assistant Professor (EFLT), Crystal Garcia, Assistant Professor (EFLT), and Sara Demoiny, Assistant Professor (C&T).